More importantly, it’s how the speaker delivers those words. 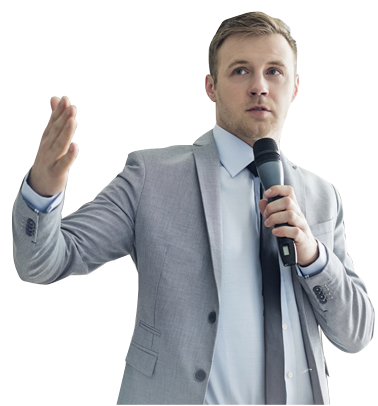 Whether your executives are addressing their team, your whole organisation or guests at an event, arming them with the right public speaking skills and tools can significantly benefit your business and their own reputation. 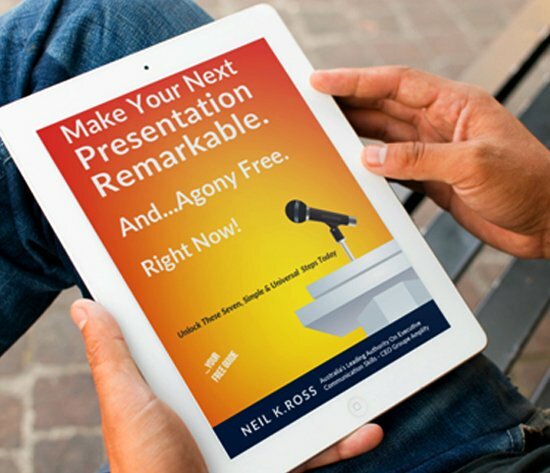 often fear public speaking, which can undermine their confidence and believability. Not even the world’s most natural, accomplished and persuasive public speakers like Winston Churchill and Barack Obama became great orators by simply jumping up to the podium. They needed to learn and practice the right techniques first. With the right tools, techniques and training anyone in your team can become a great public speaker, too. Whether it’s talking to their team at work or before an audience of thousands. guidance, feedback and coaching from one of Australia’s most experienced senior executive speakers and trainers. Speaking Inspirationally is a fun, engaging option for a conference, or if you have 20 or more executives from across the business who would like to learn to speak and present in a way that is more engaging, persuasive and inspiring to their audience. deliver a performance that captivates and excites their audience. fit speeches from different people together into a powerful story. move on stage to keep the entire audience watching and listening. Available in-person, online e.g. Skype, or by phone.